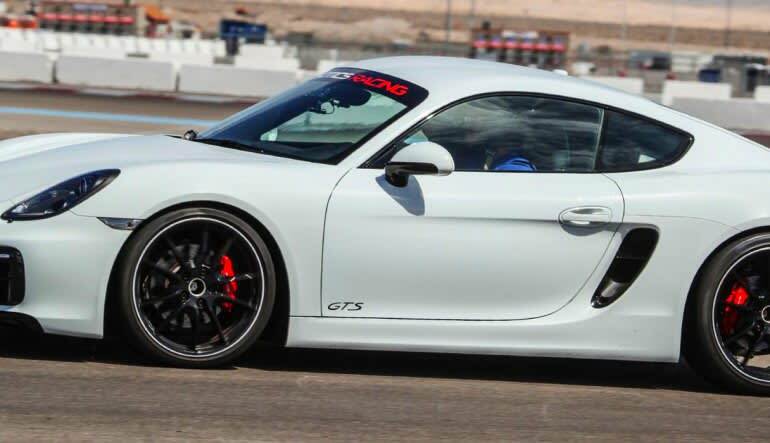 Get behind the wheel of a Porsche Cayman GTS for 5 laps around an exclusive road course track at Auto Club Speedway and enjoy a white-knuckle experience. The Cayman GTS may be Porsche’s smallest vehicle but that’s what helps it pack such a punch on the track. 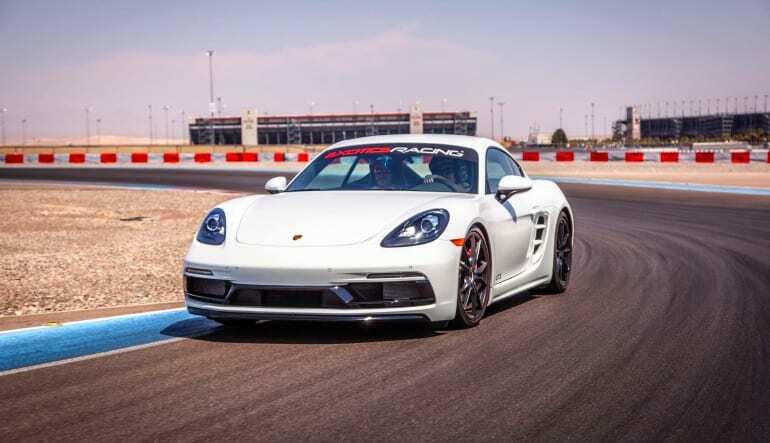 Get behind the wheel of a Porsche Cayman GTS for 5 laps around an exclusive road course track at Auto Club Speedway and enjoy a white-knuckle experience. 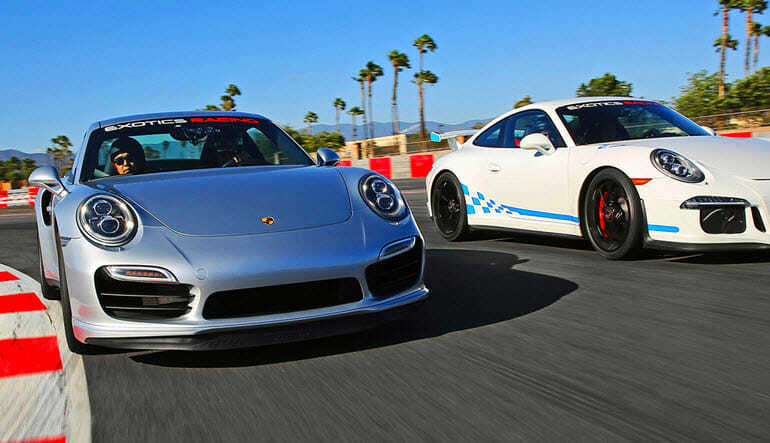 After your classroom instruction where you’ll learn how to maximize the power of your Porsche for the most thrilling drive, an instructor will take you for a discovery lap. Enjoy the ride and take notes – these guys know the track like the back of their hand and you can learn a ton of tricks. From there, it’s pure adrenaline-fueled thrills as you take the wheel and enjoy 5 laps in a Porsche Cayman GTS. This car pushes 340 HP, with 4.9 seconds from 0-62 mph. I was impressed and very satisfied. I participated in a discovery lap and it was unlike anything I had ever done. I would highly recommend this experience to my friends and co-workers. My ride-along instructor was Phil, and he was very professional and knowledgeable. He knew exactly when I should be breaking, speeding up, and down-shifting/up-shifting.